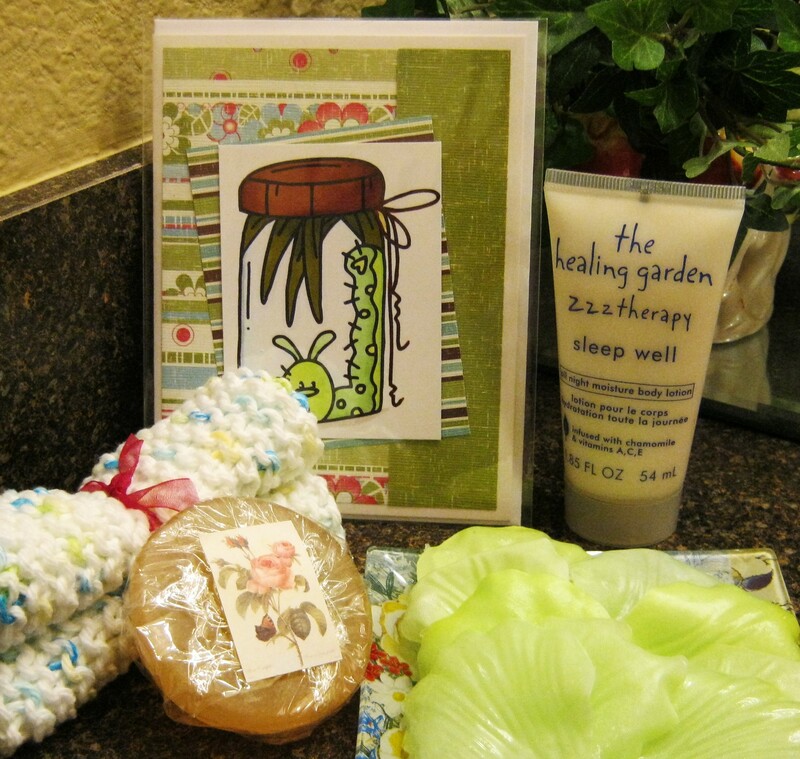 2. the healing garden… hand and body lotion. 5. Rose Petal Guest Soaps.. hand dipped by me. I feel that there is never enough of anything to say “Thank you”.. But I hope you enjoy these. 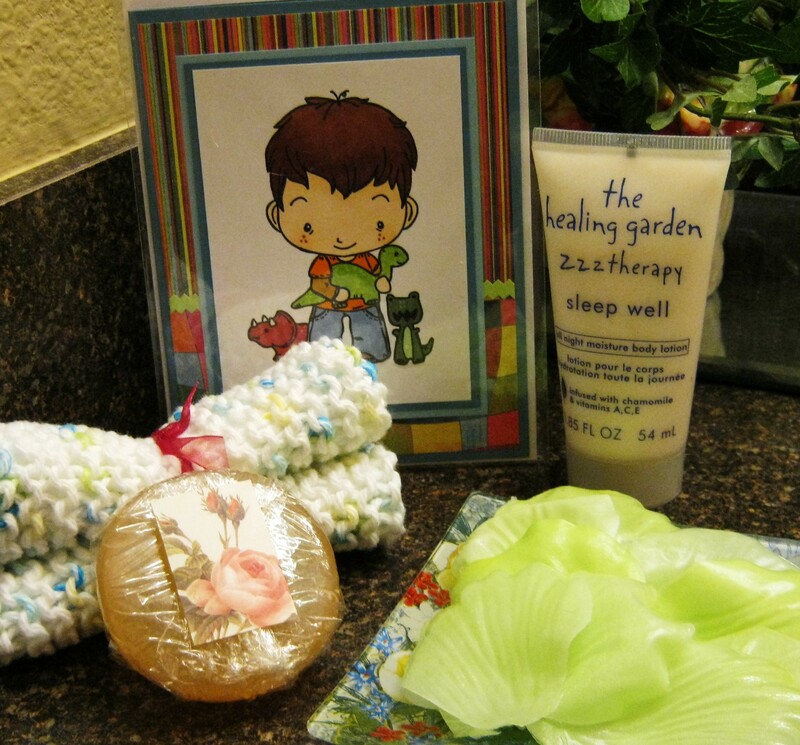 This entry was posted in Announcements, Art, Card Making, Gifts, Give Aways, Handcraft, Handwork, Personal, Sherman and tagged card, gift, Give away, handmade, Handwork, Knit, lotion, rose petal soap, soap. Bookmark the permalink. Love all the goodies! Have a blessed christmas!